I was at a PTA meeting the other week discussing plans for forthcoming events. We were talking about the school disco and as it is on the 13th of Feb I thought it would be a ncie idea to make it vaguely Valentine’s themed and that the children could come dressed in something red if they wanted to. Yeah, good idea until I realised that Charlotte hasn’t really got a lot of red in her wardrobe. Hmmm, thinking cap time. Recently I bought some plain t-shirts for another project idea I am working on, so I snaffled one of those and had a riffle through the fabric stash to see what I could come up with. I found that I had a fair amount of the red floral that I had bought to line the Oliver + S Cape I made a few years back. 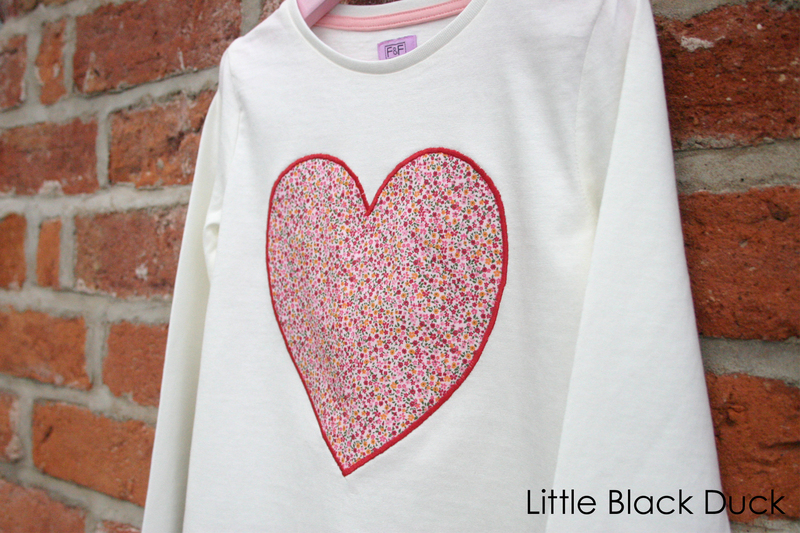 I decided to use some of the remnants to applique a large heart on the front of a plain white t-shirt…..
…cute hey? Although it looks as though I should have made my stitch length a little shorter as there are some gaps in the stitching in places. 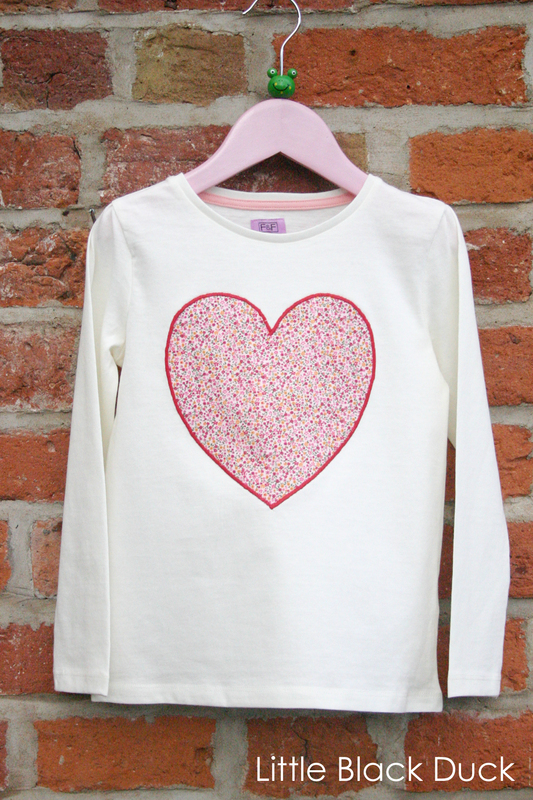 My husband thinks I’ve sewn the large heart on at a wonky angle…so don’t look too closely! No one will ever notice, especially worn by a 5 year old dancing around at her first school disco! I used my free heart template as a starting point. I used the small heart for the back and increased the large heart to about 7.5″ across for the front of the t-shirt.